Having travelled the stars for many years, this merchant has carved out quite a reputation for seeking out some of the most exotic wares. From trophies to armour, shirts to ship parts - he'll have you sorted with the finest the galaxy has to offer! Single part support free print at three different detail levels. "High" version tested in FDM on a Dremel 3D40 using 3DFillies PLA+, will be testing on the Bean3D resin printer shortly. 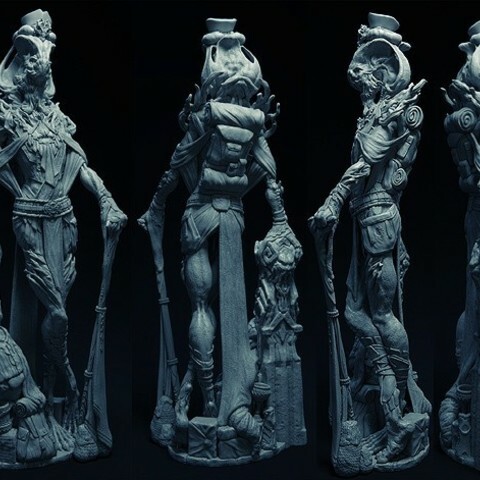 Will also be releasing a more detailed 6 part version for larger printing that also does not require any support, but I want to finish printing it first before uploading as a separate thing. I'm really looking forward to seeing how this turns out on a range of printers as both a detail and structural stress test, so be sure to share your makes! 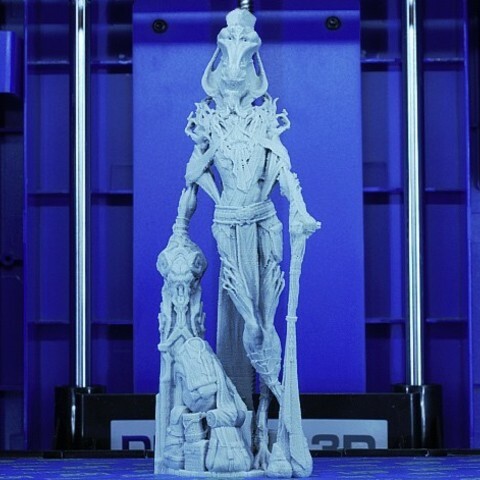 Note - If you are going to print smaller with FDM, I would recommend adding some support to at least the cane. I added the hanging cloth late in the design to help it print, but having the cane any smaller is expecting a lot for it to successfully join again above the elbow.